I shared last week that I’m participating in my first ever “One Room Challenge“. I already showed you the sad state of our current master bedroom. 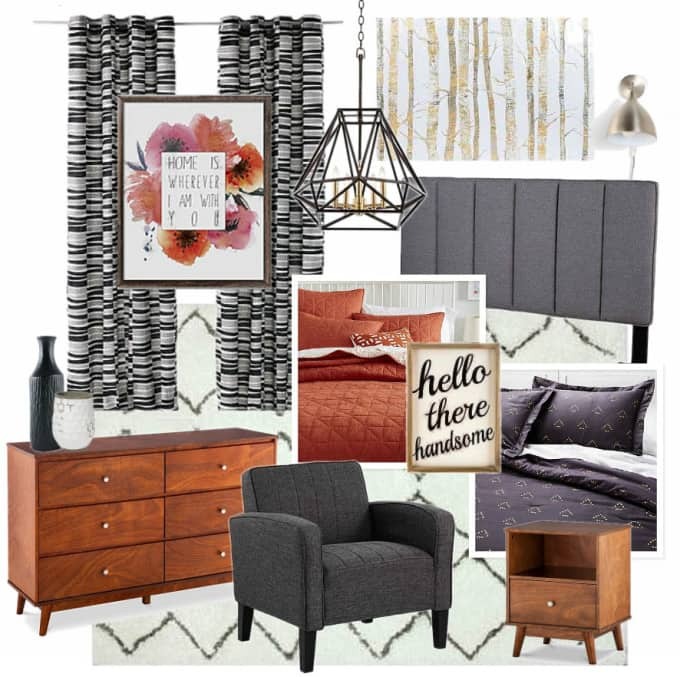 Today I want to share my plan to transform it into a modern Mid Century master bedroom. 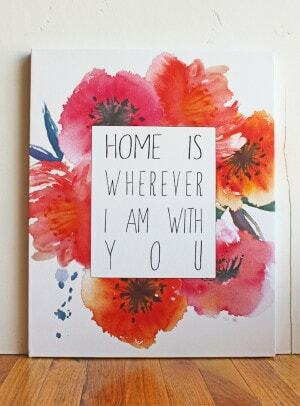 I’m hoping to shop our house, and reuse many things I already own. On my shopping list is some art, a comforter, a rug, and new lighting. I’d also love to do something interesting with our plain sliding closet doors, but I don’t have a vision or plan for those yet. I just ordered this print in a canvas. I may frame it with a black frame but we’ll see once it arrives. I’ve had these for years and love them. They’re super wild and crazy though, which means the rest of the room can’t have too much pattern. 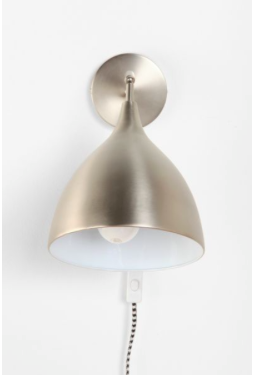 This particular sconce is discontinued, except they have some other really great similar ones. I spray painted ours copper but they have a lot of brass ones that I really love too. A few months ago this was on a daily deal sale and I got it for $100! 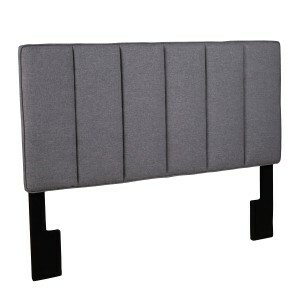 I think the vertical channels make it very masculine and Mid Century feeling. 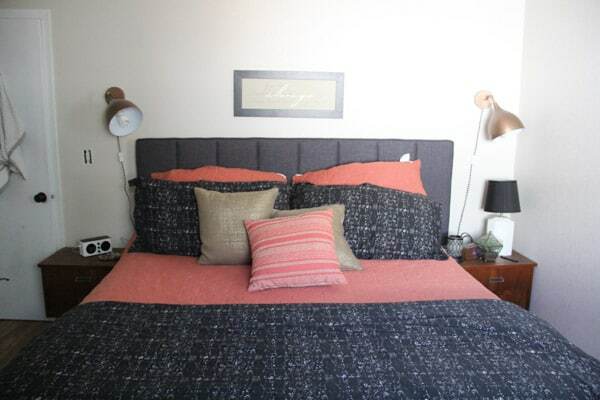 I’ve considered DIY’ing a tufted headboard for so long but I don’t even think I could DIY one for $100. Just last week I got this for 50% off. Of course you know you can ALWAYS use a 40% coupon there though. 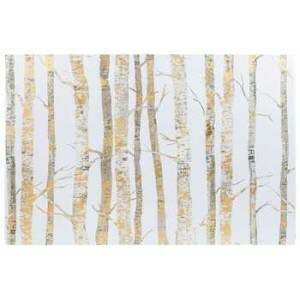 In our house in Denver we had vinyl birch trees in our basement. We also loved gong to Aspen and driving through the birch tree forests. I bought it because it reminded me so much of our time in Colorado. It was funny because when I brought it home the first thing Matt said is, “It reminds me of Colorado”. 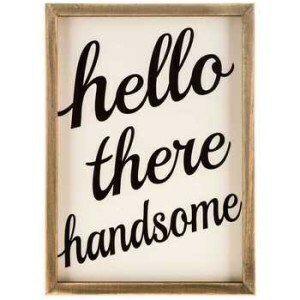 I just grabbed this sign and a “Good Morning Gorgeous” sign from Hobby Lobby. They were only $9 a piece and I think they’re adorable. We’ve had this for a few years, but I still love it. I love the coral color and the vintage look and feel. It’s reversible and I’ve considered flipping it over. 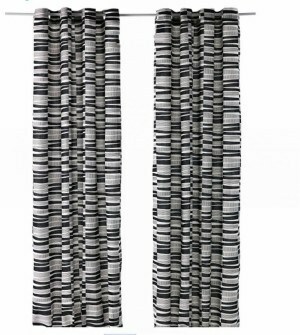 Dana at HouseTweaking has this rug and only has good things to say about it. I’ve admired it for years and I’m finally going to pull the trigger! 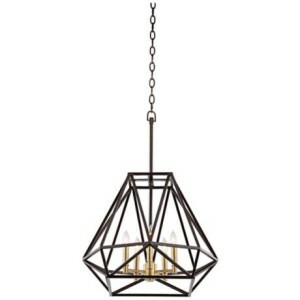 I am totally in LOVE with this black and brass geometric lamp. It’s $300 and I don’t know if I can justify spending that much on a bedroom light. I do *really* love it though! Can someone please tell me that it IS worth it?! I’d be easily convinced! 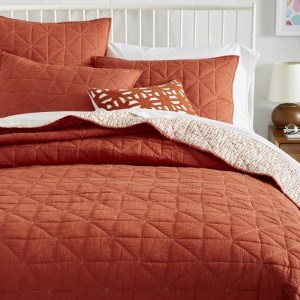 Our current duvet cover is VERY similar to this but has a big tear in it and is looking pretty shabby. I’m hoping to upgrade to this one. As a bonus this one is a comforter vs. a duvet which will make Matt happy. He hates constantly fluffing and smoothing the duvet and never wants another one again. 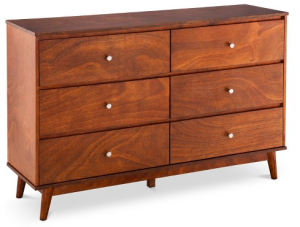 I’ve got a thrifted dresser in my garage that I’m hoping to transform. I linked to a similar Target one that I love. I actually think the one from Target is pretty awesome and if I wasn’t a crazy dresser hoarder this is probably the one I’d go buy. 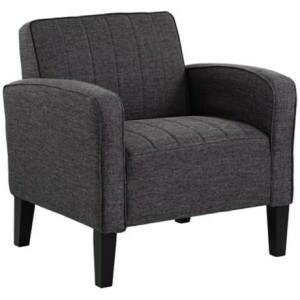 I got this chair for my living room a while ago, but I’m not loving the way the dark gray competes with our dark brown couch. After “shopping the house” I realized that it’s the perfect gray for our bedroom. I love having a chair in the bedroom for escaping to for reading and writing. I use these ALL over the house and love them. 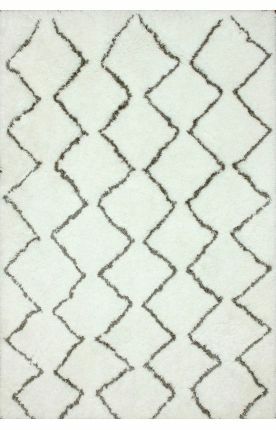 It’s a cheap and simple way to add texture to any space. I’ll probably drape it over the back of the chair. 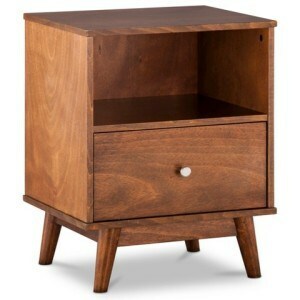 A few years ago I scored these nightstands at our thrift store and they are my favorite. They have the perfect size and shape and I love their little Mid Century legs. They just barely fit in our room but they are definitely staying. 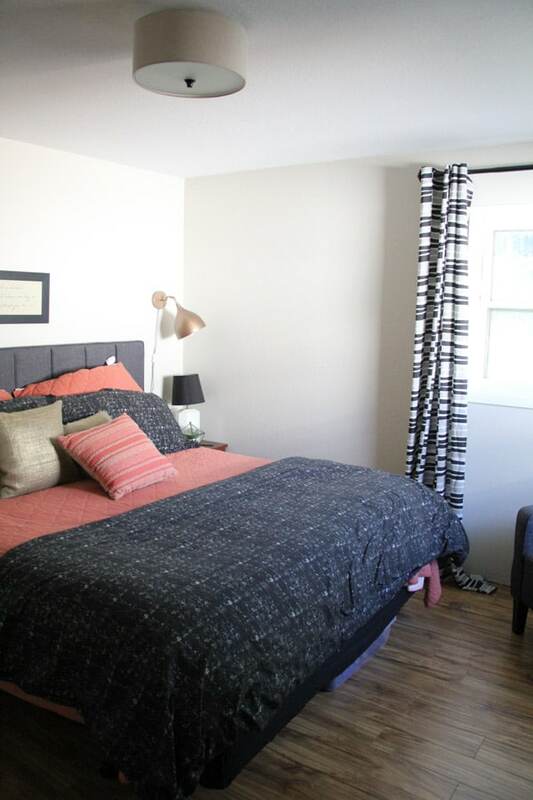 So do you think we can turn this sad master bedroom into a modern Mid Century master bedroom retreat? In six weeks without totally breaking the bank!? 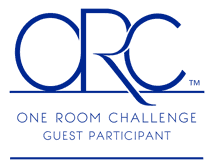 If you’re looking for some great inspiration make sure you check out all the other “One Room Challenge” participants! *12/16/15 Update* The room didn’t end up coming together in 6 weeks, but after a few months it finally came together. Check out the finished room details here! Girl, get that light. It’s fantastic!!! Isn’t it!? Thanks for the encouragement! I love where you’re headed! I’m a MCM gal myself. Can’t wait to see next week’s update! Aw thank you! MCM has my heart forever!